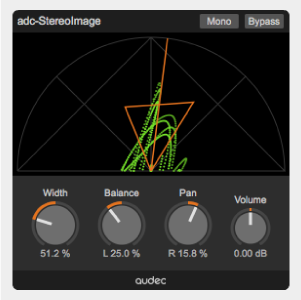 adc-StereoImage is an effect that alters the stereo image with 3 parameters (width, balance, pan). Width : Widen/Narrow stereo width. Balance : Adjust L/R balance without affecting center element. 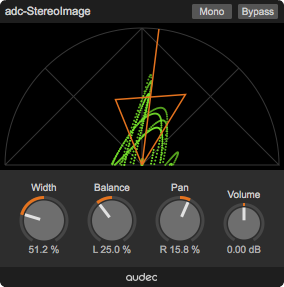 Pan : Pan sound image without affecting stereo width.